I 1970’erne var der en gruppe kunstneriske ildsjæle, der i samarbejde med Odense Kommune fik oprettet Fyns Grafiske Værksted. Startende d. 5. februar 1976 med Bodil og Erik Aalykke som ledere af værkstedet. I 1997 kom der en flot tilbygning med galleri til Grafikken. Vi er nu ca. 300 medlemmer fra ca. 20 forskellige nationer. Kunstnere kommer fra nær og fjern for at arbejde med deres foretrukne grafiske medie. Vi holder os opdateret på nye teknikker, og holder også kurser for både børn og voksne. In the early 70'ties a group of artists started a workshop for professional printers. From the idea arose and to the printing workshop where established, several years went by. 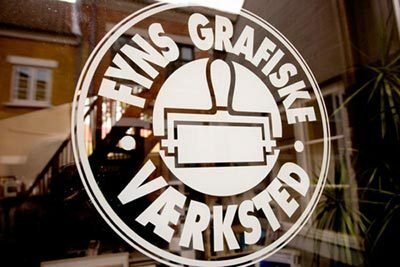 The 5th of February 1976 The Funen Printmaking Workshop was opened and inaugurated in Hans Jensens Stræde 18 in Odense. The City Council of Odense had provided the building. The goal was reached. The Economic vision was implemented with support from the County of Funen and the City Council of Odense. 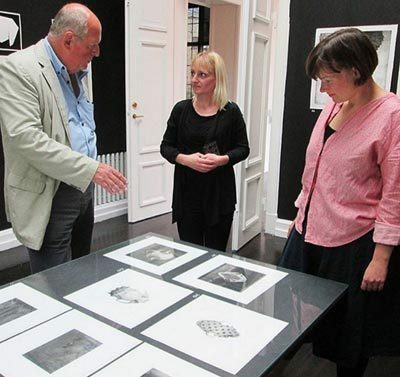 A Board of Directors was established with representatives from the County and the City of Odense and artist Helge Engelbrecht was elected as the first President of The Funen Printmaking Workshop. According to the statutes, we should have a supervisor and chose sculptor Erik Aalykke and his wife Bodil Aalykke and the residence in No. 20 was at their disposal. The numbers of members grew and so did the activities. We needed more space and an expansion where needed. Many unpaid volunteers put their effort into the expansion project and finally in 1997, 120 m2 in two floors were added to the old building. The new building gave us the opportunity to organize a gallery to exhibit all the prints. The Funen Printmaking Workshop has grown. We have 300 professional working artists from 20 nations as our members. 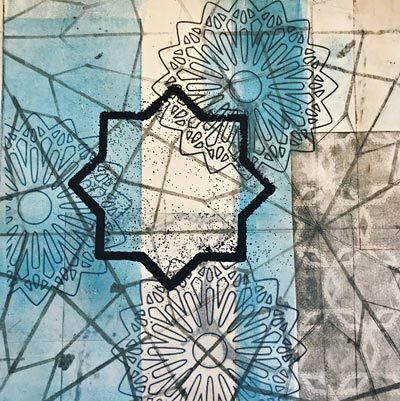 We exhibit guest artists from abroad, we have small external exhibitions, guided tours in the workshop and courses for anyone interested in printmaking. From the gallery, you can achieve contact to printers in their working process. We arrange visits, and sell original prints. If you need a small present, a print could be a more personal gift than flowers. 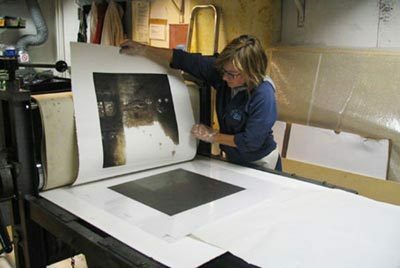 In our gallery store you find our manager Lene Leveau, who will guide you through our large stock of prints. The website displays some of the prints you find in portfolios and drawers.